Due to larger dimensions it is suitable for larger groups. Made from Cotton Canvas Waterproof 270, 325 or 450 gms per square meter natural white or in a color of your choice. 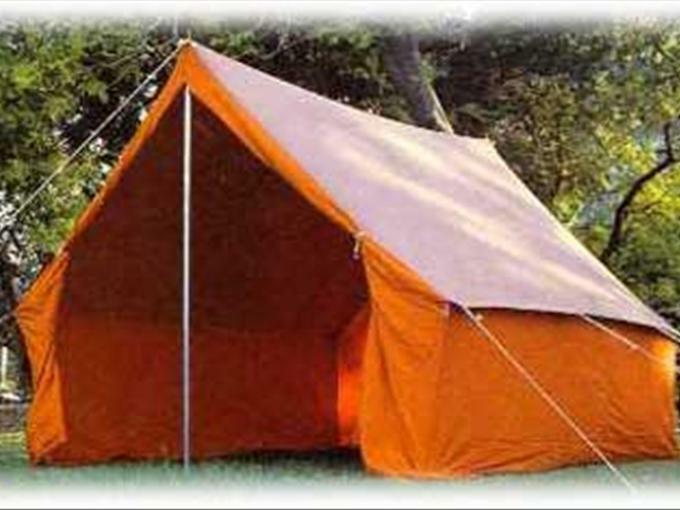 Optional ground sheet in cotton canvas or heavy duty PE fabric. The tent comes packed in a cotton carrying bag. Complete with metal poles, iron pegs and a carrying bag.